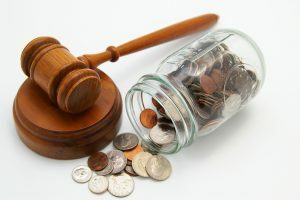 Fixed fees for divorce in Cheshire.Cheshire family law solicitors, Stonehewer Moss, offer fixed fees for many stages of family disputes like separation, divorce, child arrangements, financial negotiation and child financial arrangements. In addition, there are sources of finance available in some cases, if the fixed fee cannot be paid up front. Michael Brennan, an accredited family law specialist at Stonehewer Moss, received approval to their advocacy of fixed fees from the national family lawyers organisation this week. For further details and a FREE initial consultation, please telephone us on: 01606872200, or e-mail: michael.brennan@stonehewermoss.co.uk. You can also visit our website at www.stonehewermoss.co.uk. This article was added on Wednesday, October 21st, 2015 at 2:55 pm and is categorised under Cheshire News, Chester News, Child arrangements, cohabitation disputes, collaborative law, Divorce, divorce finances, Family finances, Family Law, Winsford News. Both comments and pings are currently closed. Error: Error validating access token: Session has expired on Saturday, 09-Mar-19 13:12:58 PST. The current time is Wednesday, 24-Apr-19 20:02:39 PDT.